In a Morocco resolutely heading toward a new era and in the heart of a city whose past is laden with history and myths, the Essaouira Gnaoua and World Music Festival first saw the light in June 1998. Born from the will of a team passionate about music convinced that culture is an inalienable human right, that dialogue is the path that will lead the world to wisdom, and that the preservation of heritage in all forms is the bedrock of identity, the Festival marks on that basis anoutstanding turning point in the country’s history. Being the first popular and free of charge Festival, it opened the way to many other events. From the beginning, it hosted artists from the four corners of the world to be in communion with the Gnaoua musicians guarantors of a precious heritage, the witnesses of the African roots of Morocco, mystics and bearers of an ancestral tradition. Rehabilitating their history and shedding light on their know-how is doubtlessly one of the main rationales of the Festival. On the stage, they’re considered to be fully-fledged artists and finally treated as such they reveal their talent and the magic of the music. Aware of the message the Festival wants to convey, they disclose their secrets to artists hailing from elsewhere for celebration, and also to the public to get to know them better. The hajhoujand the crotals, instruments defining these musicians join together with others from nearby regions or from far away in exceptional harmony bound to deeply affect the public as well as the musicians. Concurrently, specific conferences shed light on their culture and history, and lilas (night celebrations)let night owls discover their intact rituals seemingly oblivious to the constraints of time. Since then numerous maâlems have become ambassadors of Morocco and Africa joining in illustrious festivals and performing on prestigious stages across the world. Better yet, the Festival which immediately emphasized the need for transmission of the know-how allowed them to pass the torch and see the emergence of young bands and artists, perpetuating a long forgotten heritage which was at best turned into folklore on its own land. As for the public, it immediately and totally embraced the Gnaoua and World Music Festival. The Moroccan youth in attendance at the initial editions understood the full scope of the spirit of freedom billowing across the city. The youth would take that spirit along throughout the entire country and disseminate the Gnaoua spirit which would gradually turn into a « way of life». These same young people become therefore more hopeful and believe deeply in a country Morocco which is particularly attentive to their expectations and desirefor freedom. Over the Festival’s editions, its notoriety has crossed borders and the world is taken by this new African Woodstock. The festival goers and the media of the five continents would stream to discover the hospitality of a country, the generosity of a city while blending into a celebration atmosphere next to none. Once over, they leave the city taking along a bit of Morocco and its rich history testifying to its openness and commend Morocco’s recognition of its African roots. 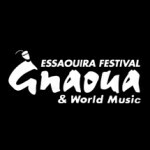 In this respect, the Essaouira Gnaoua and World Music Festival is a forerunner. By celebrating Gnaoua and inviting the worthy representatives of African music both modern and traditional to perform together, the Festival pays tribute to an entire continent.